Brands are the way to go to earn money on a blog. The brand gives you some coding to put on your site to display their ad, along with some rules about it, you put it on and get paid every single month. It’s money you can actually count on when blogging. Product sales, sponsored posts, affiliate sales, and even ad network revenue can fluctuate so much! You need a source of income you can count on if you want to be a full time blogger. Yet, when you apply to work with a brand, they reject you. Their reason is, “your website doesn’t rank high enough for us to work with you at this time, please try again when your metrics have increased.” What you need is a building link strategy to increase your blog’s metrics. I am a blogger, very much like you. My name is Amy Marohl and I blog at NeededInTheHome about “all things home”. What may be different about us is that I have 7 children with one on the way and I homeschool. My time for blogging is usually limited to four hours a day. When I started my blog it was because of a need for money. I learned everything I could about Domain Authority and working with brands to try to earn money quickly, and it worked. I started earning over $1,000 per month from my blog in my third month of blogging when my DA score was over 10. Brands learn your metrics by going online and checking your domain authority (DA) score. That score tells how likely your website or posts are to rank above that of your competitors within the top 50 pages of search on Google US . They can tell with that search tool if you have good SEO (or Search Engine Optimization) and if your keywords are ranking. Basically it tells them if their ad is likely to be seen by anyone. Why pay for an ad that will not be seen, right? Some brands are willing to work with a blog with a score of DA 10+ but will pay a very small amount, it is far better to have a score of DA 20+ or higher. The websites that rank DA 50+ or higher are getting the larger amounts of money from brands. Check your own score by going to a DA checker tool at https://moz.com/link-explorer/. Type in your root domain, which is your website URL. Click the magnifying glass search box in the domain authority checker and up comes your score on the left. You can see if you have earned a new building link below by looking for the positive green number. It is possible to lose a building link if the person referring to your site changes it from a do follow to a no follow link, takes it off their post or if it gets too old for Google to care. They seem to age out after a year, so it is important to keep earning a building link as often as you can. Earning a building link doesn’t have to be as difficult as doing a guest post on someone else’s blog, as you may have heard. While this is an excellent strategy if you are guest posting on a site with a higher DA score than yours, it is not necessary. I myself have earned the above score of 34 without doing a single guest post. This guest post is my first one and it will not help my score by much because Suzi and I are close to the same level. My reason for writing this article here is because my audience is all about “home”, not blogging! So this article would not be of interest to many of them. First consider your brand marketing. What I mean by that is, once you get noticed, what does your website look like to a brand? Brands that are willing to pay bloggers have workers looking for your website. These workers are like brand ambassador head hunters. They are typing keywords that go along with their business into Google. The workers see what is coming up on the top 50 pages and are checking those blogs or websites to see what their DA score is. For example, let’s say that my blog ranks in the top 50 pages for the keywords, “microwave popcorn bag” and a popcorn kernel company worker finds me. They check my DA and like my score. Now they will look at my blog to see if I am a good fit. Sadly, I am not a “food blogger”, which is their first choice. However, they want to get into the “home” market as a second choice. They can see from my menu and posts that I am a “home” blogger. Now they will make an offer. What does the main page of your blog show? 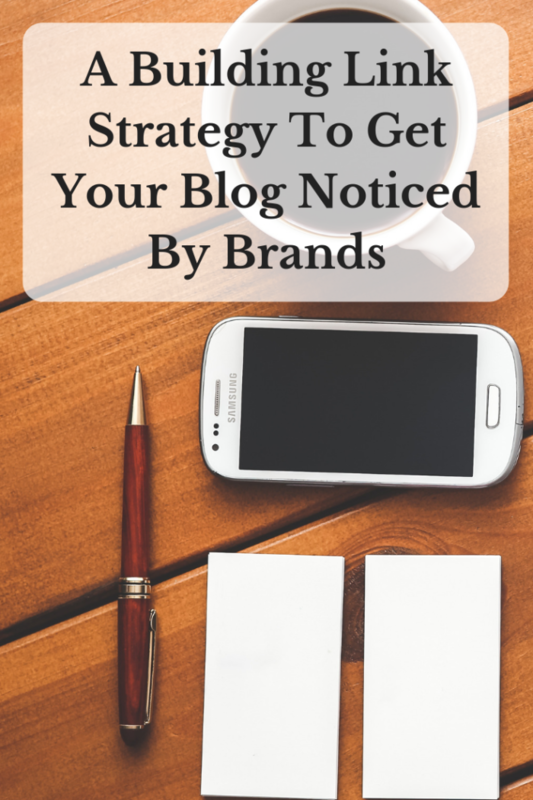 Can a brand tell what your blog is about in one quick glance? Keep in mind, these workers are in a hurry and won’t stay on your page for long! Backlink is another name for a building link, (also known as Inbound Links in the DA checker). You will gain backlinks if you go and comment on other people’s blog posts that have a higher DA score than yours. Now sometimes this doesn’t work because the blogger or website owner can mark all comments as “no follow” and then it won’t count, or it may get marked as spam. But there are a lot of website owners who either don’t know what “no follow” is and leave it marked at the “do follow” default, which gains you a link OR they leave it at a “do follow” on purpose to help their readers. When leaving comments, it needs to be a sentence or two long, not just a “nice post”. In the comments, do not leave a link to your website in the comment box or the blogger or their website may mark it as spam. Here is an example comment: “I agree with what you say about decorating your living room with light colors. It gives a nice airy and open feeling to the room. It makes me want to lighten my living room.” That’s a nice long comment with no link added. There are usually boxes for you to leave your name and website. That is where your website goes. 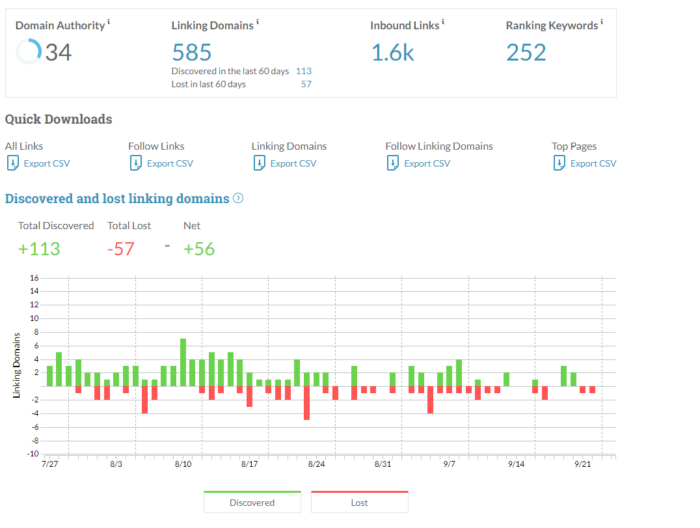 If it was a “do follow”, someday (it could take up to a month), you will click on the Inbound Links blue number in Moz Link Explorer and it will show you all your links and what blogs they came from. You may see one you left a comment on. Leaving comments helps to increase your DA score! Now don’t go crazy with this, because too many comments will put a signal up to Google, but you could do up to five per day. Now that you know how to do this, set a goal for yourself. Linking domains are tracked for the last 60 days. If you earn one building link every business day, in 60 days, that could be 40 new links! You will be well on your way to earning a higher DA! This has been a guest post written by Amy Marohl of NeededInTheHome. 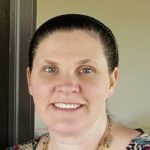 Amy is a large family homeschooling mom of seven (with one on the way) who has been blogging about “all things home” for a little over a year. For more link building tips, sign up for her FREE SEO and Domain Authority Tips email course and read her eBook, Discovering Domain Authority. This is such a helpful article! My DA has increased slowly but steadily and I, too, am not one to guest post. 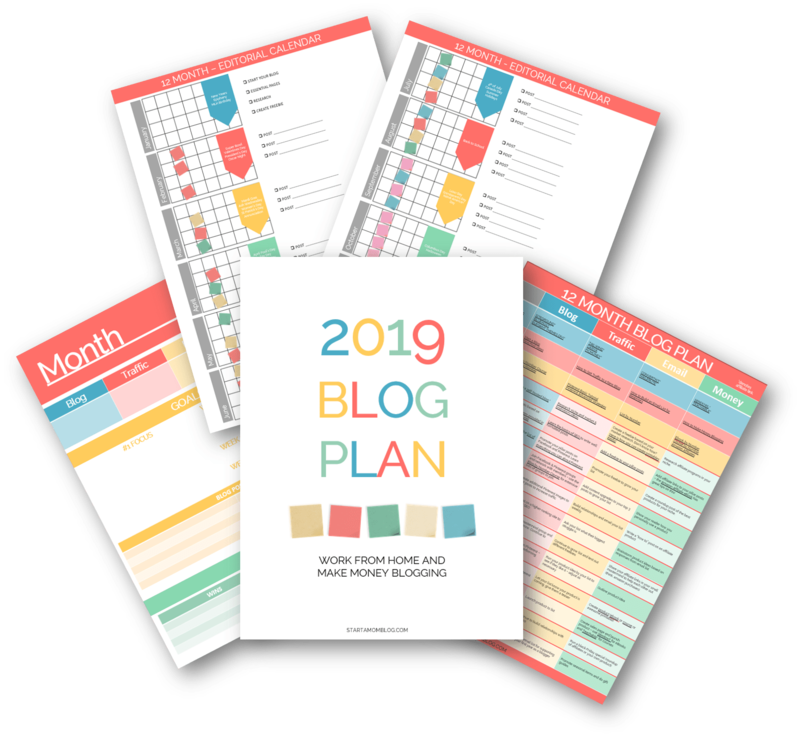 I pay close attention to my ROI with all blogging related tasks so it’s great to know you gained your spot in this world without guest posting! Thanks for all of the great tips, I’ll be checking out your blog! Libby, Yes, tracking ROI (return on investment – basically your time you spend working to see if it pays off) is something I pay close attention to as well. Thanks for reading. Thanks for this tip. I had never heard of this before but as I would like to start working with brands this could not have come at a better time. I just entered my blog URL at MOZ and found out that my DA is 20! You just made my day – thanks so much! Jayne, 20 is great, you must be doing something right! This was something I’d never heard of before. I have a question! Does it matter what kind of blogs we comment on- does it have to be a blog that is our niche or close? Amy, that is a great question. I have put comments on “work at home” blogs, “crafting” blogs, “farm” blogs, and “finance” blogs and they are all showing up as new links for me so I personally do not think it matters. Why on earth would a blogger make comments a no-follow link? Why wouldn’t you want to help your engaged readers? Is there something I’m missing? Thanks for the info! It looks like I still have a lot of work to do on my blog to get my DA up, but this will help. This is very helpful, Amy. My website just turned 4 months yesterday. I am trying hard to get enough knowledge about everything related to blogging and this one right here explains backlinks straightforwardly. No fluff! Thank you so much! You made my day! I’ve just in the past week been reading (a little) about Domain Authority. I haven’t done any guest posts and was thinking OH MY LORD, what do I have to do now?! Although I’d love to guest post, I’d love it if it makes sense for all involved. I just hadn’t considered it yet. Now it makes sense why I get a fair amount of emails for guest posts on my blog though. I think commenting is a great way to learn more about bloggers. I love reading the comments as much as the content. (is that weird?) Thank you bunches for this great advice! This is extremely helpful! I am very new to blogging and my DA is still low. 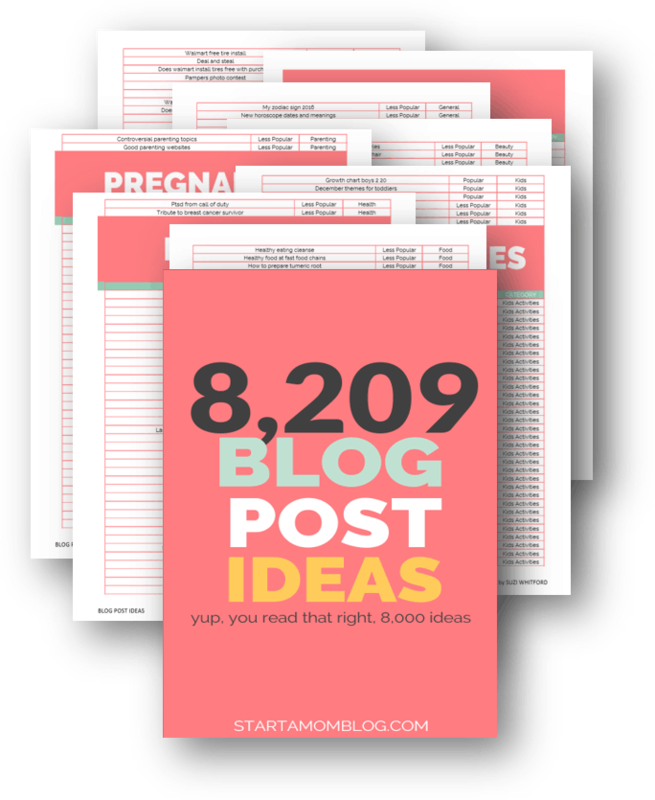 I would love to increase my DA score, however, I am not ready for guest posting just yet. Commenting on the blogs I already follow is a great way to potentially increase my score while remaining focused on building content on my blog. Thank you so much for sharing this, I didn’t know it could raise my DA by commenting on other blogs! !